For thirty years, up until about a decade ago, the idea of "late bloomers" was widely believed among researchers and educators alike. "Late bloomer" was the endearing term for a child who was slower than his peers in learning to read. The idea, so well captured in the term, was that these children would bloom in their reading—they would just do it a bit later than their peers. This common view, known among researchers as the "developmental lag" theory, was the reasonable basis for teachers' patience with students who didn't catch on to reading quickly—and it justified the common practice of delaying the diagnosis of reading problems until they were quite severe (Lyon et al., 2001). But more recently, long after many teachers ended their formal education training, researchers have been able to put the developmental lag theory to rest. It has been replaced by an alternate theory of early reading weakness that defines the problem as a skill deficit. The main difference between the two theories is that the developmental lag theory posited that difficulties in learning to read would fade as the brain matured—early, urgent intervention was not necessary. In contrast, the skill deficit theory claimed that waiting wouldn't work; children wouldn't pick up these skills unless they were taught directly and intensively. In fact, waiting would be harmful, as it condemned children to falling further behind. Three longitudinal studies (Juel, 1988; Francis et al., 1996; Shaywitz et al., 1999) have put the weight of research squarely behind the skill deficit theory and against the developmental lag theory. 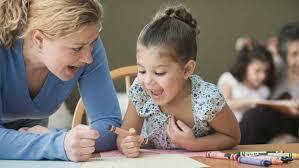 Each study tracked the reading development of children beginning in first grade. In the simplest terms, these studies ask: Do struggling readers catch up? The data from the studies are clear: Late bloomers are rare; skill deficits are almost always what prevent children from blooming as readers. This research may be counter-intuitive to elementary teachers who have seen late-bloomers in their own classes or heard about them from colleagues. But statistically speaking, such students are rare. The first study (Juel 1988) tracked 54 children at a school in Austin, Texas, from the beginning of first grade through the end of fourth grade using a variety of standardized tests of phonemic awareness, decoding, word recognition, listening comprehension, and reading comprehension. To see if those who are behind in learning to read do or do not catch up, Juel split the students into two groups based on their scores at the end of first grade on the ITBS Reading Comprehension subtest. Those who scored in the bottom quartile (based on national norms) were labeled "poor readers." Those in the top three quartiles were labeled "average or good readers." Over the next three years, the poor readers, on average, never caught up to the average and good readers on any measure of reading ability. Consider, for example, the two groups' grade-level equivalents on the ITBS Reading Comprehension subtest at the end of first grade and at the end of fourth grade. The poor readers' mean score increased from K6 (a mid-kindergarten level) to 3.5 (a mid-third grade level). But the average and good readers' mean score increased from a 2.4 to a 5.9. Of course, group averages don't reveal individual results. Were there some late bloomers hidden behind these means? Not many. On the ITBS Reading Comprehension subtest, students who score in the bottom quartile at the end of first grade are, in terms of grade-level equivalents, at least six months behind. So, Juel examined the individual results at the end of fourth grade to see how many students were still at least six months behind. Of the 24 students who were poor readers in first grade, 21 of them were still at least six months behind in reading. Similarly, of the 30 students who were average or good readers at the end of first grade, only four had fallen six or more months behind. "The probability that a child would remain a poor reader at the end of fourth grade, if the child was a poor reader at the end of first grade, was .88; the probability that a child would become a poor reader in fourth grade if he or she had at least average reading skills in first grade was .12. The probability that a child would remain an average reader in fourth grade if the child had average reading ability in first grade was .87; the probability that a child would become an average reader in the fourth grade if he or she was a poor reader in first grade was only .13. Furthermore, Juel found that the poor readers lacked a critical skill: phonemic awareness. The poor readers entered first grade with little phonemic awareness; they did not approach the ceiling on the phonemic awareness test until the end of 3rd grade. The study that finally put to rest the developmental lag theory among researchers tracked 403 students from 12 communities in Connecticut from grades one to nine (Francis et al., 1996). The primary measure of reading development was the reading cluster score from the Woodcock-Johnson Psychoeducational Test Battery. This score is comprised of scores from the Battery's Word Identification, Word Attack, and Passage Comprehension subtests. In addition, students' IQs were measured in grades 1, 3, 5, 7, and 9 using the Wechsler Intelligence Scale for Children—Revised (and students with IQ scores below 80 in third grade were excluded from the study). Students who met the criteria for both of these groups were designated reading disabled-discrepant. The "not reading-impaired" group consisted of the remaining students. With students broken into these groups, the researchers analyzed the reading scores from grades one to nine looking for evidence of either a developmental lag or a skill deficit. If the developmental lag theory was correct, students who were behind would eventually catch up; if the deficit theory was correct, students would not catch up. But the data clearly demonstrated that, on average, neither the low-achieving nor the reading disabled-discrepant students ever caught up to their peers who were not reading impaired. All students' reading improved quickly in grades one to six, but then the rate of improvement slowed. (This quick, early improvement displayed even by weak readers has probably fueled classroom teachers' optimism that these children would eventually bloom as readers.) Apparently, the normal and behind readers reached two different plateaus. Researchers also analyzed the scores of individual students to determine whether the average scores could, as they sometimes do, be masking different achievement patterns among individual students. That is, could the average scores be hiding the fact that many low scorers in first grade actually went on to be fine readers, while many high scorers in first grade went on to be poor readers? The researchers determined that no masking was happening; rather, they determined that the group averages depicted in the figure closely reflected what was happening with the vast majority of the individual students. But what about those last few years in high school? Did the struggling readers catch up? In the late 1990s, the study of Connecticut youth was extended to grade 12 (Shaywitz et al., 1999). On average, students who were behind in reading in elementary school never caught up to their peers. As in the previous study (Francis et al., 1996), all of the students improved quickly in elementary school, but then improved very little after sixth grade. Throughout elementary and secondary school, the gap between struggling readers and their peers remained quite steady. It's important to note that in each of these studies, the poor readers' failure to catch up only indicates (1) that there is no evidence for the developmental lag theory, and (2) that the special services these students received were not effective. None of these studies indicates that it is impossible to intervene with these students. The upshot of the research: The problem is not a developmental lag; it is a skill deficit. And, as Joseph Torgesen explains in a related article, the skill deficit between average and below-average readers can be largely erased with appropriate early intervention.